The crew over at Pixar Animation Studios has released a movie once a year since 2006. Within that stretch, they’ve released back to back favorites from Ratatouille to Wall-E & from Up to Toy Story 3. After the release of last year’s Cars 2 was disappointing to some audiences, Pixar’s looking to rebound with their latest release, Brave. Will Brave put Pixar right on target or completely miss the mark? 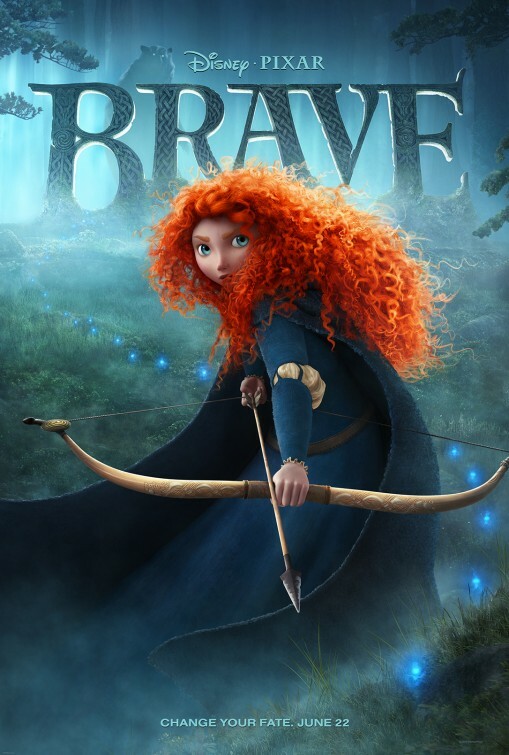 Brave follows Princess Merida, a free-spirited, redheaded tomboy with an affinity for archery. Translation: she’s not your run of the mill Disney princess. And it’s because she has no desire to become a “traditional” princess that causes much of the conflict between her and her mother, Queen Elinor. When a traditional marriage ceremony does not go in a manner befitting to the Queen, she and Merida have a falling out, resulting in Merida’s stumbling into a supernatural means of changing her destiny. She soon realizes that her desire to be free came with a very costly price which comes at the expense of the kingdom. Pixar also has a reputation of introducing audiences into unique worlds with lively characters. The characters are vibrant and likeable. The visuals in the movie are beautifully created and show the beauty of the kingdom as well as the grand scale of Scotland. When these visuals are combined with a lively score led by Scottish composer Patrick Doyle, it really lets the audience feel like they are a part of the action. Although Brave is an animated film, it earns it’s PG rating as the humor is a bit more “cheeky” for a select few & a handful of moments that would frighten very young children. So if you are a parent, make sure your discretion when taking the very little ones (Kids under 6). I loved La Luna, I’m glad they’re going back to doing original shorts instead of the toy story/tangled ones they were doing for a while. Just curious what score would you have given cars 2? R361N4, I agree with your point about La Luna! Such a beautiful short. I tried watching Cars 2 but fell asleep through it… twice! The best grade I could give it right now is an inc. I just don’t think it’s fair to down a movie you haven’t seen all the way through. But I will say this, even though I love Michael Caine, I wasn’t too impressed by what I saw. I’ll get back on that AND your review when I get the chance! Thanks for posting!